Pregnant blogger killed in Thailand scooter accident. Pregnant blogger, famous for breastfeeding her 4-year-old son, dies in Thailand. British mum Sophie Emma Rose made headlines when she started a campaign to normalise breastfeeding in older children. She regularly posted updates and videos sharing her breastfeeding journey with her four-year-old son, Shaye, online. The 41-year-old was six months pregnant with her second child, and was living with her new partner Danny Glass, 29, in Thailand. 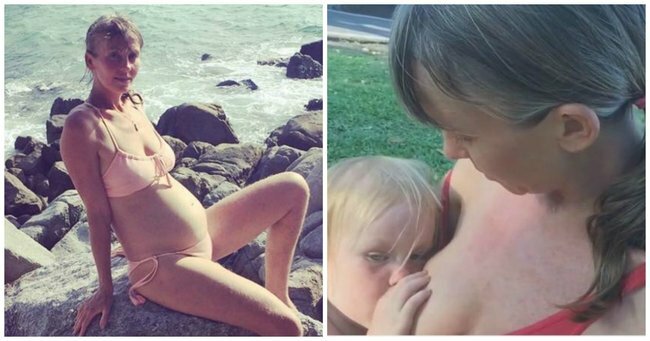 WATCH: Why Sophie Rose is still breastfeeding her four-year-old son. (Post continues after video). Yesterday, she was killed in an accident in Phuket when a truck smashed into the moped she and Danny were riding on. Sophie was on the back of the scooter being driven by her partner, when it collided with an 18-wheel lorry. Danny, who escaped the accident with minor injuries, confirmed his partner’s death on Facebook. “Tragic news my girlfriend died in a scooter accident we had today,” he wrote. “I am in total shock as I’ve lost the most precious person I had ever connected with…my brain keeps going into denial I am distraught. Sophie and her 29-year-old partner, Danny. Image via Instagram. "She was also pregnant so I lost my child too. I do not have access to all of her friends or family members so if you know any of them please notify them that this has happened." According to The Sun, investigating officer Lieutenant Colonel Sanit Nookong said the scooter was hit when it pulled out to drive around a parked car. Sophie was six months pregnant with her second child when she was killed. Image via Instagram. 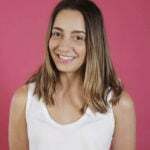 "She was riding on a motorbike with her partner when they changed lanes to avoid a vehicle parked and blocking their path in the motorbike lane of the road. "As they did this, the truck hit them from behind. The woman was then run over by the truck and sustained fatal head injuries." A 30-year-old man, believed to be the truck&apos;s driver, handed himself into police after initially fleeing the scene of the fatal accident. Police are yet to confirm if any charges will be laid over the accident. LISTEN: Would you let someone "dry nurse" your baby?